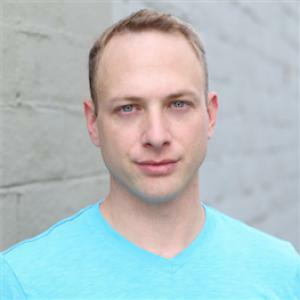 Joshua Keller Katz is an American actor and screenwriter based in Long Beach, California. He was born in Cincinnati, Ohio, where, as a child, he appeared in local radio and television commercials and, later, in local community theater productions. After completing high school, he served in the United States Navy as a gunner’s mate and later graduated from the University of Cincinnati with a degree in electronic media. Katz has also played leading roles in several independent film productions and a co-star during all three seasons of the Disney-ABC medical drama, "Code Black", on CBS. Katz has won recognition from coast to coast for his original screenplays, and, after completing a year-long screenwriting mentorship at the Writers Guild Foundation, he has been hired by a Los Angeles production company to adapt a book for the screen. An insomniac repoman falls for a narcoleptic librarian and stumbles into a precarious position after he seizes a vehicle from a drug cartel member. When a family of elephants is slaughtered, a Kenyan Wildlife ranger hunts for the poachers and battles bureaucracy amidst rumors of a large killer elephant, which locals believe is the Devil.